I’m not quick to criticize movies and when it’s a comedy I’m usually all for it because even though it’s an overused cliché, laughter really is the best medicine. The week hadn’t started on a positive note so by the end of the week I was ready to turn things around. I booked myself a ticket at the cinemas and off I went on a solo movie date to watch Double Dhamaal. 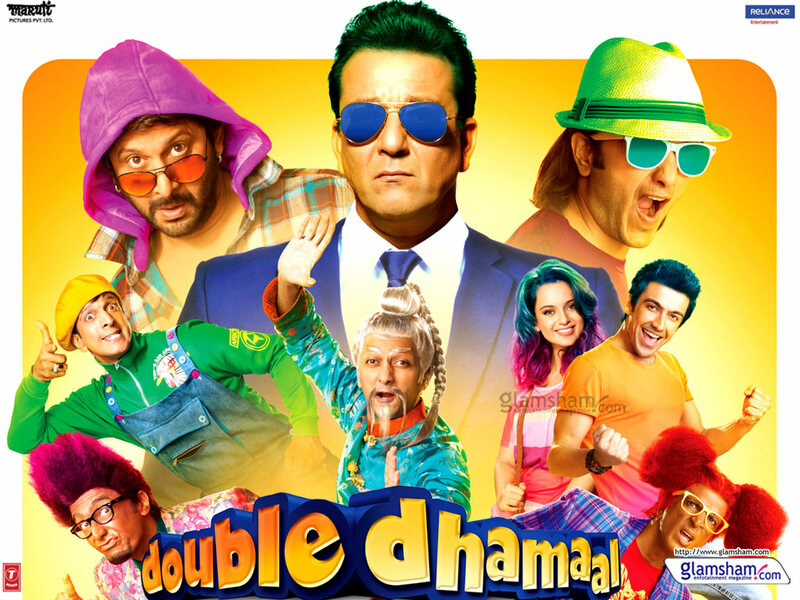 Having watched Dhamaal, which was very funny indeed, raised my expectations for Double Dhamaal which is a sequel. The promos on TV looked funny and I didn’t need much convincing. We saw the four stooges who came into a fortune in Dhamaal but were forced to give away their share to charity and back to thinking of get-rich-quick themes. The one-liners are funny when you hear them but they’re also easily forgettable because not many had the impact to ingrain it in you. Adi (Arshad), Roy (Riteish), Boman (Ashish) and Manav (Javed) are a silly bunch of characters who make you laugh and giggle. Ex-inspector Kabir (Sanjay) plots a devious scheme with Mallika and Kangana and manages to con the four stooges who in turn plot revenge and somehow to follow him right to Macau to seek justice of sorts. It’s a comedy of errors and will keep you entertained in terms of laughter but if you’re going to watch Double Dhamaal for a meaningful storyline then just don’t bother. It’s one of those mindless comedies that you want to watch, laugh, have no expectations of and leave the cinema with a silly grin on your face. Starring: Sanjay Dutt, Arshad Warsi, Riteish Deshmukh, Jaaved Jaafery, Ashish Chowdhry, Mallika Sherawat, Kangana Ranaut.